There are many reasons a car accident can occur in Boston. Most of the time, the crash occurs as a result of an at-fault driver who was engaged in negligent driving. However, in some cases, including single-vehicle accidents, we are actually dealing with a products liability issue. 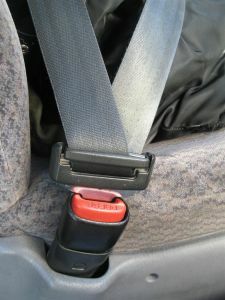 A products liability case is a type of civil lawsuit, still based upon a theory of negligence, like many others, but in these cases, the accident was caused by a defectively designed product, including a motor vehicle, or a product that had a hidden danger, and the company, dealer, or supplier failed to warn potential plaintiff’s (customers) of that known danger.As our Boston products liability lawyers can explain, these two negligence torts are not mutually exclusive and many cases involve both a defective design claim and a failure to warn of a known danger claim. There is also a basic negligence claim included as a sort of catchall. The elements of a standard negligence claim are duty, breach, causation, and damages. According to a recent news article from Auto Week, more than 25 percent of all cars sold from the nationwide car dealership, Carmax, are in need of recall repairs by their respective automakers, but the dealership allegedly did not go the respective dealerships to have the recalls completed before selling the vehicles and did not warn clients of the recall issues. A survey was taken by a coalition of industry safety experts that tracked the sale of nearly 1,700 in Massachusetts, Connecticut and California. The survey concluded that in 27 percent of these cars tracked, there was no less than one safety recall outstanding, and the vehicles needed to be taken to a vehicle to repair the manufacturing defects to prevent mechanical issues and potential car accidents due to a defectively designed vehicle or vehicle competent. All of these defects were from cars sold at only eight dealerships targeted in the survey meaning that there are likely many more vehicle from the many other dealerships around the country. This also only accounted for vehicles sold in a single year, but other years’ sales were examined and it was determined that the results were roughly the same across the board. Some of the recalls included the known defects in Takata airbags as well as the faulty ignition switches in General Motors (GM) vehicles. The Takata airbags recall affected nearly 3 million vehicles and involved a defective inflator mechanism. These inflation units had a degradation in calcium sulfate drying agent contained in the ignition charge. While an airbag is designed to open quickly, and is deployed by the use of a charge, they are supposed to deploy at a controlled speed to prevent injury to the occupant whose head or body will come in contact with inflated airbag. The calcium sulfate breakdown could not protect the airbag inflators from also breaking down. This could result in uncontrolled airbag inflation in the result of an accident. When there is an uncontrolled inflation, it could inflate too quickly and rupture the airbag preventing it from performing properly or it could inflate too slowly resulted in an occupant’s head or body being unprotected by a properly inflated airbag. This recall has also been expanded to older airbag deployment systems that did not contain a calcium sulfate drying agent. These older airbags also allowed for the inflator to become damaged to the point where an inflation would be much more violent than intended and this could send metal and plastic shrapnel from the airbag system and steering wheel flying into the passenger compartment where they could result in serious personal injury or death of the occupant. As for the General Motors ignition system recall, the system allegedly caused a malfunction that plaintiffs claim that it caused a driver to lose control of his vehicle and crash into another car causing the driver of that vehicle to be killed. It has also been reported that GM has already paid approximately $2 billion in fines and settlements. In cases such as where a car was purchased from a used vehicle dealer, or even a new vehicle dealer, there are many potential plaintiffs. This could including the suppliers of the defective components, car manufacturers, dealerships, shipping and even distribution centers. A plaintiff has the option of suing everyone in the supply chain or simply suing the dealership that sold the car to plaintiff. This is because the plaintiff is generally not responsible for suing up the supply chain. On the other hand, the dealership being sued would likely want to bring in the other parties so the dealership is not responsible for all damages. This is known as an impleader is common in Boston products liability cases. There is also a decent chance that if the case gets filed in the Suffolk Superior Court in Boston, it well get removed by the defendants to the U.S. Federal District court, also located in Boston. While many defendant’s think this will help them, an experienced products liability attorney has handled many matters in state and federal court and knows how to fight for your right to a full and appropriate financial recovery. One of the reasons companies like to go to federal court is that they believe the judges are more insulated from local politics since they are appointed by the U.S. President with the advice and consent of congress rather than elected. However, in the Commonwealth of Massachusetts, judges are also appointed. In this case they are appointed by the governor and will hold the bench until the age of 75. This means they should also be insulated by local politics unlike the judges in other states where they hold judicial elections. Even though there are appointed judges, many defendants will still opt for a federal judge.